Dan Stern advises employers on labor and employment matters including affirmative action plans; wage and hour issues; and discrimination and harassment claims. By recommending and developing effective employment policies and procedures, he helps clients reduce the risk of employment-related lawsuits. 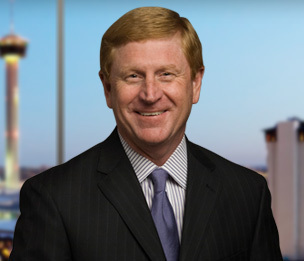 He is Board Certified in Labor and Employment Law by the Texas Board of Legal Specialization. Dan works with employer clients to bring their existing workplace policies into compliance with best practices in the human resources field, and he provides day-to-day counseling which enables clients to make wise decisions in human resource matters. Understanding the frequent and complex employment issues continually faced by today’s employers, Dan has designed his practice so that he is readily and quickly available to his clients. He is a frequent speaker and author on employment matters and labor-related legislative changes, with a particular focus on wage and hour issues. "Employer/employee confidential information: Who is protecting who and from what?" Diversity Guidance for Banks: A Light Hand!